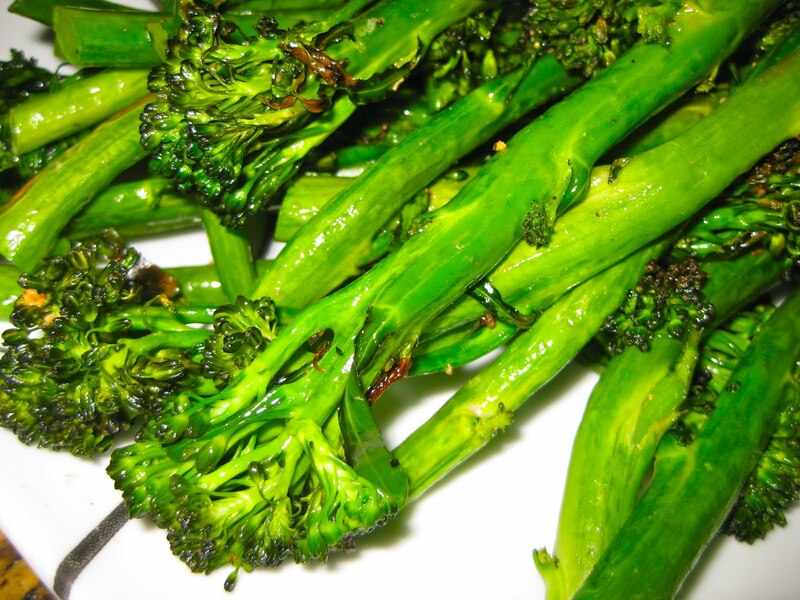 I happened on this picture of sauteed broccollini on Pinterest. Becca siad, “Mommy, why is that broccoli so skinny?” Now those of you who don’t know…Broccolini is a green vegetable similar to broccoli but with smaller florets and longer, thin stalks. Although often misidentified as young broccoli, it is a hybrid of broccoli and kai-lan, a Chinese broccoli. I like to think of it as; “Model” broccoli. size “0” broccoli, or Skinny-assed broccoli. All joking aside, it is pretty tender and tasty. You can stir fry them or oven roast them in olive oil. I like to chop it up and put it in couscous and sliced almonds. Give them a try!